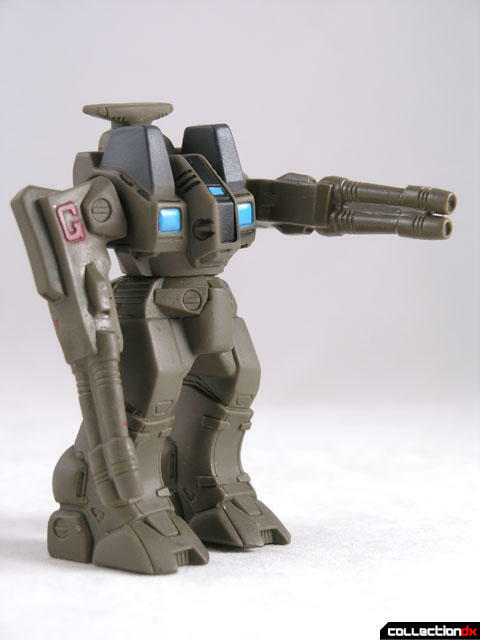 The Destroid Defender ADR-04-MkX is one of the supplementary mecha that appears in the Macross anime series (later shown as Robotech in the states). 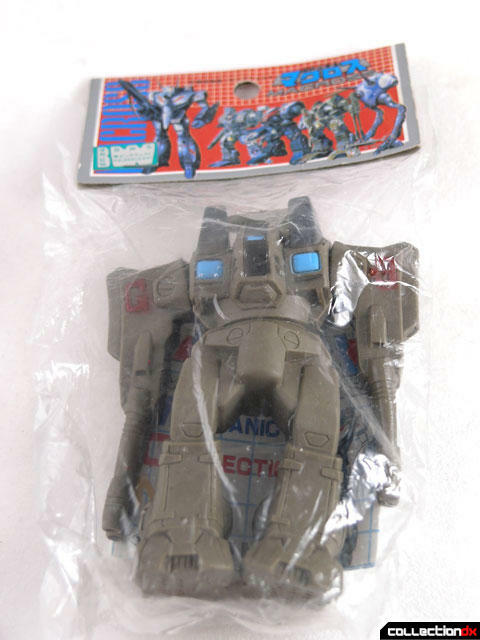 While the mech does not get a lot of screen time in the show, it has been made into toy form many times. One of the funkier offerings is this soft vinyl made by Takatoku toys. These were sold in Japan bagged with header cards. I’ve heard these were also sold in the US at Spencers Gifts of all places. Either way, the toy is pretty cool and is one of the easier Macross vinyl’s to get. 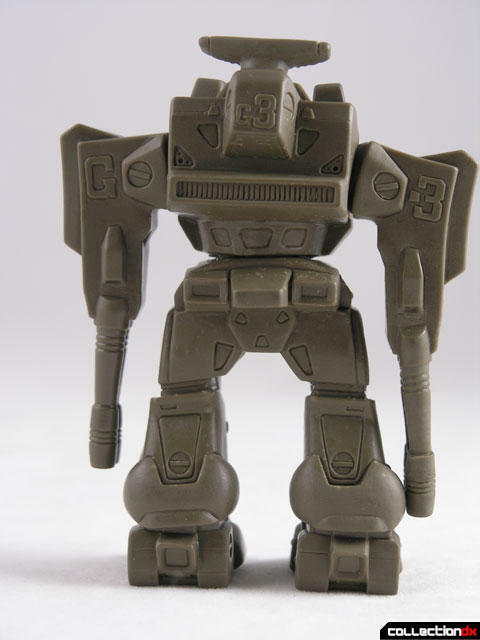 Its smooth lines seem more anime accurate than an injection-molded toy ever could. At only about 4” tall and 3 points of articulation, it doesn’t do much. When I took it out of the bag you couldn’t stand it up due to the vinyl warping. I had to put it under a hairdryer to get it back into shape.